Samsung Galaxy S9 and the S9 Plus are the hottest smartphones of the month as they get ready for a grand launch at the Mobile World Congress 2018. The smartphone designs got leaked earlier than expected and a couple of new features are also known now before the official announcement. While the actual features can be confirmed only when the Galaxy S9 launches by the end of February, some of the rumored specifications and integrations sound promising. One of the most important updates is the intelligent scan setup which will provide the highest level of security for users. A unique idea that is, it will combine the best security provided by Face ID unlock and Iris scanner to provide combined security. The feature was originally spotted in the settings page of the upcoming Samsung phone which claimed that they have implemented a brand new setup to outsmart Apple and Google in this regard. The smartphone manufacturers did discuss about implementing a finger print sensor on the display during CES 2018, it is yet to be seen prominently in any of the devices. It is expected that they will eventually roll it out to all major devices so that users no longer have to face their display in order to unlock it. For Samsung, Iris scanner is not a new technology as they are already available on the Galaxy S8 and the Galaxy Note 8 smartphones. These slim bezel less phones don’t have Face ID but they did have Iris while the fingerprint sensor was mounted in the back side to unlock your smartphone. Considering the size of the display, it is often difficult to access the touch sensor conveniently when you need it the most. The Intelligent Scan will be the first of its kind on the Galaxy S9 which if considered very safe will soon find its way to all other smartphones. 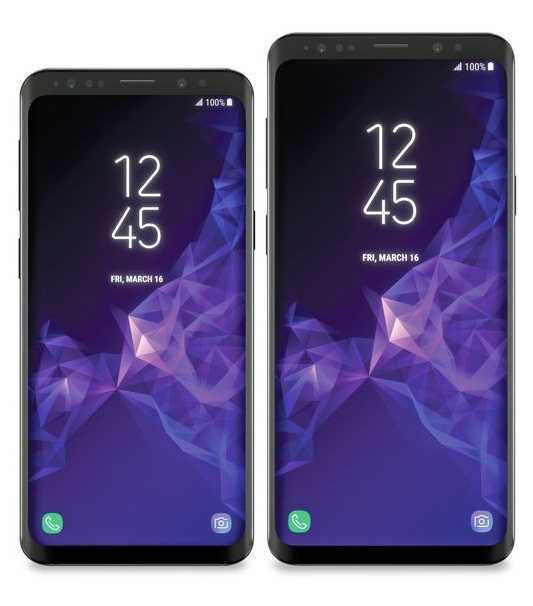 It is also being widely speculated that the pricing of the Galaxy S9 and the Galaxy S9 Plus will be the highest ever in the smartphone family. The company also plans to launch a dual SIM variant of the smartphone in Europe. The listing was spotted in the company’s German website and if confirmed, it might be launched only in select regions. 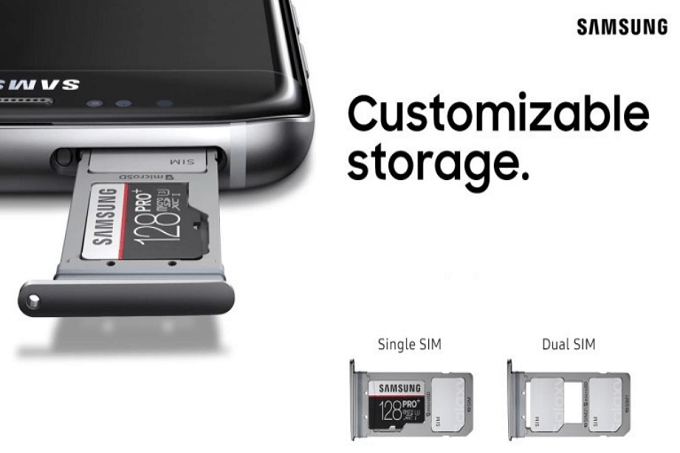 The dual SIM model may also be a hybrid tray that supports one SIM and one micro SD while one other variant supports dual SIM cards at the same time.